My Mum was visiting earlier this week and I thought it would be nice for us to have a girly day out with Little Miss A. 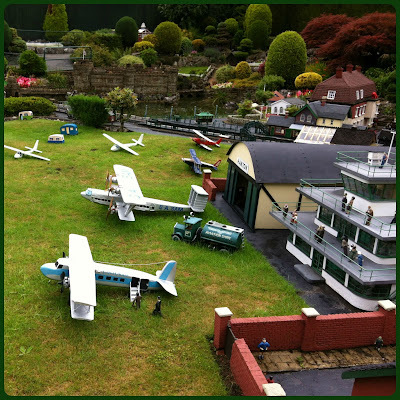 Back in December I won tickets to Bekonscot Model Village in our local Community Association Christmas raffle. I realised that the tickets expired in September, so only had a few weeks to use them. So my Mum's visit seemed like the perfect opportunity. As you arrive, you enter through a gateway and approach the ticket booth. I love that this is in a converted train carriage - what a fab idea! The prize I won was for one adult and one child, so we only had to pay for my Mum who got the over 60s rate. 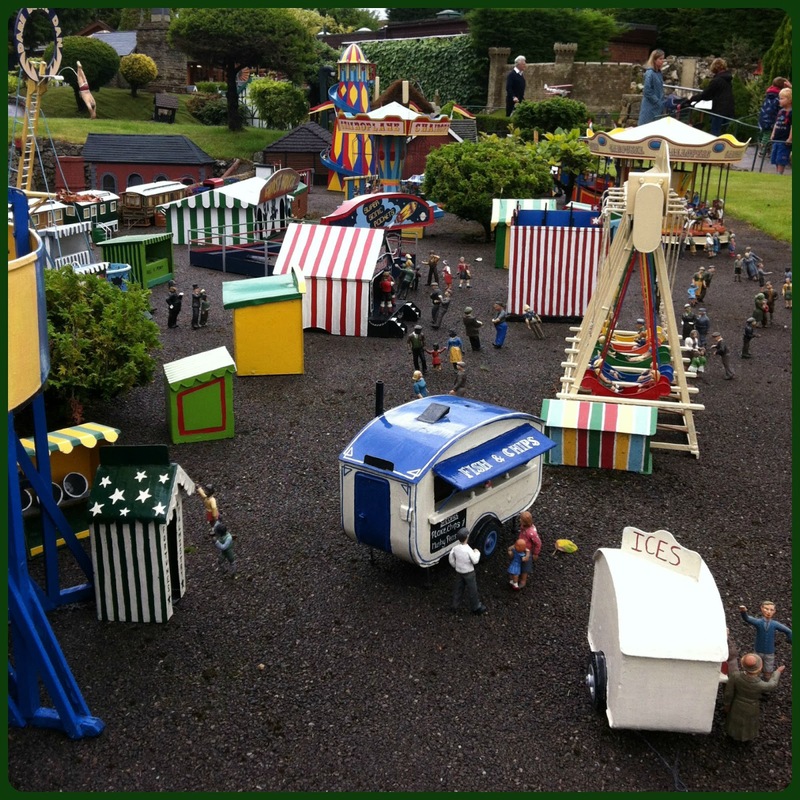 We saw the little model railway that you can ride on. Luckily we managed to get Little Miss A passed this and promised her a ride on it later. As you turn the corner into the Model Village, you immediately see some miniature scenes. Little Miss A was immediately drawn towards the zoo. It was great to spot so many of the animals that she can now name herself. Little Miss A was thrilled when we saw the first model train going round on the track. There are several trains to spot which stop at the various stations scattered around the Village. Each time Little Miss A saw a train she got really excited! There are so many different scenes, it really is fascinating. Lots of the buildings seem to be models of local buildings which is really nice. Every youth organisation seems to be represented from Boys Brigade to Girl Guides. Lots of different sports such as football, rugby, cricket, hockey and horse racing. There are churches and castles, houses and shops, a lighthouse, a windmill, an airport and train stations. Barges, boats, trains, cars, aeroplanes, cable cars and horses & carts. You name it, it's there somewhere! One of my favourite areas was the funfair. It was so colourful! Each time we passed, different rides in the fair were moving. The whole Village is beautifully maintained. The landscaping with plants, grass areas, water features etc. is lovely. I can't get over the detail. Each time you go around you notice something different and new and it's worth taking the time to really stop and look, there is always something to spot - whether it's a woman cleaning the windows or a man hammering a wall. After our first walk around the whole village we stopped at the cafe for some refreshments. We timed it just right as there was a short, sharp shower of rain whilst we were inside. We then spent a bit of time in the playground before having another wander. 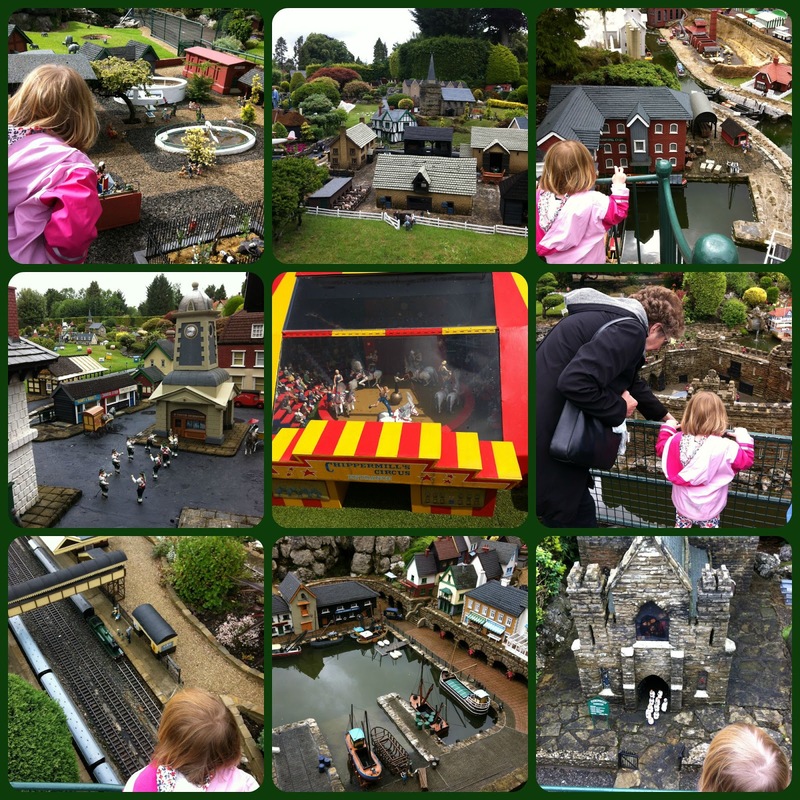 It was then time for a trip on the Bekonscot Light Railway which runs behind the Model Village and around a pond. It only costs £1 per person to ride so all three of us took a ride on this miniature railway. Little Miss A didn't want to get off so a little bit later she got another go with her Nana so I could get some pictures of them together, before we decided to head home. We arrived for when the Model Village opened at 10am and found the free car parking opposite. It's worth getting there early for parking as when we returned to our car at lunchtime, the car park was full. Also, it got progressively busier as the morning progressed so getting there early meant we had a really good look at the whole Village with only a few other people around. We spent a really lovely morning at the Village. I'm so glad we got the chance to visit it as it's been on my wish-list for a while. Little Miss A enjoyed being able to wander around at her own pace and it was interesting to see which parts grabbed her attention. 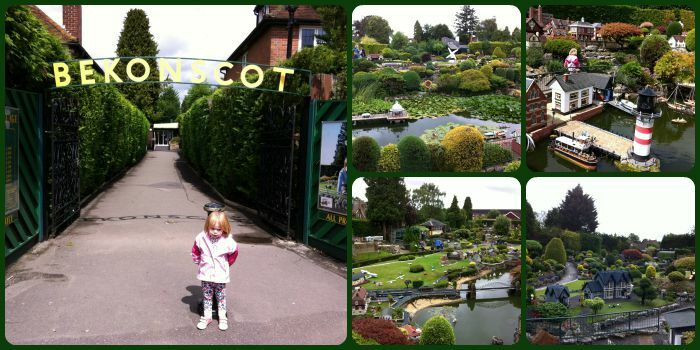 I highly recommend Bekonscot Model Village for a family day out. Thanks Louise! It's such a lovely place and so well maintained. I hope we visit again one day.